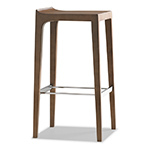 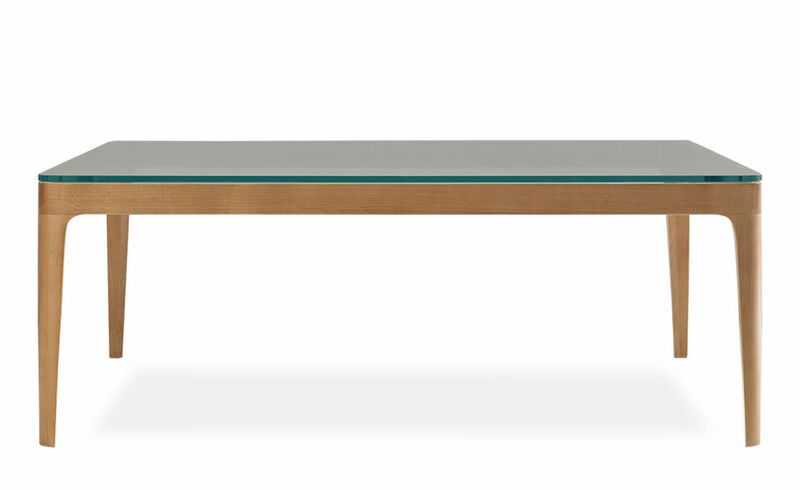 Hint is a series of cocktail and occasional tables with glass tops and slender legs. 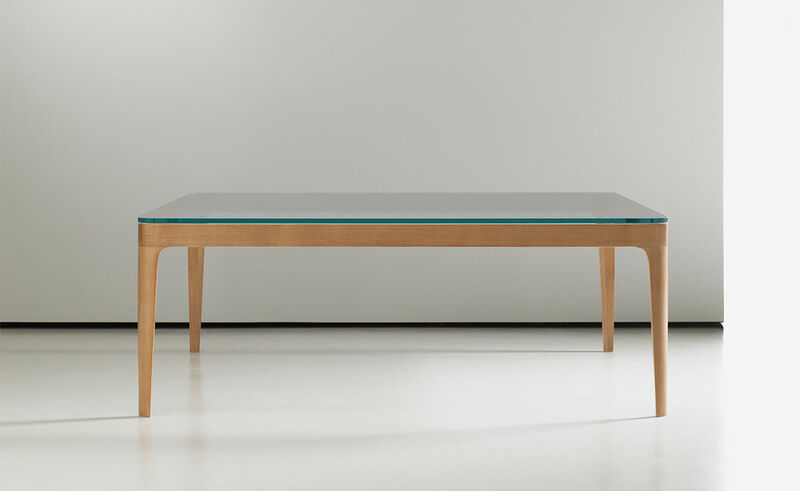 The tables feature a .4" thick glass top suspended above a solid maple frame. 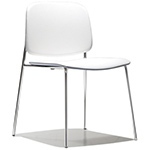 They are offered with an Opticlear glass top, which is clear and has a slight bluish tint. 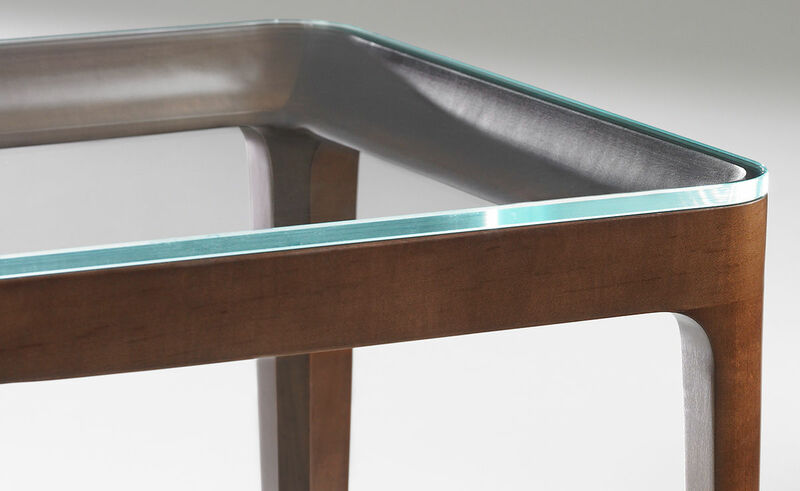 Four clear silicone glass bumpers inserted into the frame separate the glass top from the base to protect surfaces and prevent movement. 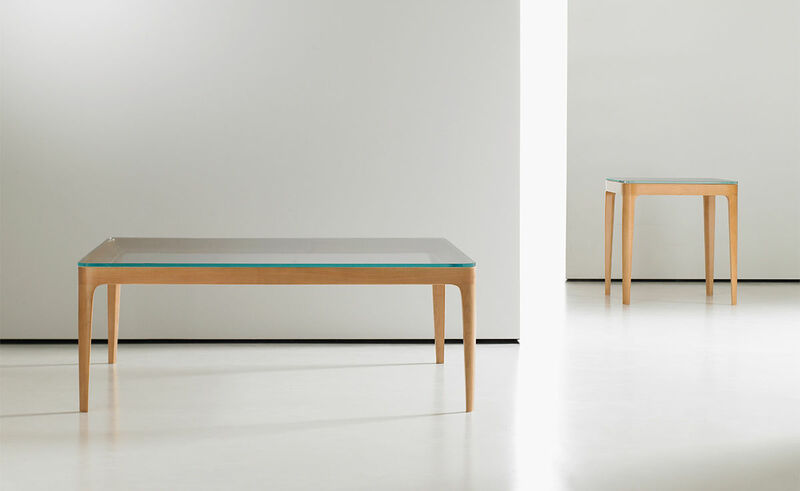 The Hint table base and glass top are packed separately in the same carton. 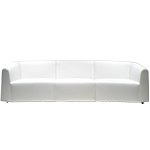 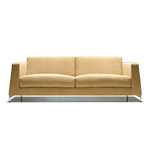 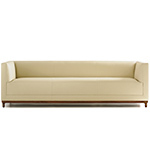 $1,688.00 + free shipping in the continental U.S.